It happened again! You accidentally deleted that important iPhone text message inadvertently. SMS history or text messages history is important for some people who may want to refer to it in future. It could be frustrating if those text messages are not backed up on other place and can't be recreated. Can you locate iMessages on iPad? Or can you undelete text messages on iPad, iPod touch or iPhone? If this is the case, you should find out an effective method to recover SMS from iPhone, iPad, and iPod as soon as possible. If you have ever synced your device with iTunes (iTunes will generate a backup file automatically), fortunately you can rescue imessage on iPhone by extracting data from backup with iTunes data recovery software. iTunes Data Recovery and iTunes Data Recovery for Mac are two pieces of iTunes backup data extractor software that you can rely on to recover deleted, lost or missing text messages, iMessage from iPhone, iPod and iPad. It supports all generation release to date: iPhone 6/6 Plus, iPhone 5S, iPhone 5C, iPhone 5, iPhone 4S, iPhone 4, iPhone 3GS, iPad Air 2, iPad mini 3, iPad Air, iPad mini 2 (iPad mini with Retina Display), iPad with retina display (iPad 4), iPad mini, the new iPad (iPad 3), iPad 2, iPod Touch 5/4 and previous models. If you don't have such a backup file since it is corrupted or unintentional deleted, you need to turn to another solution. 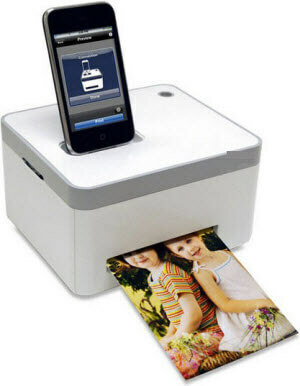 That's iPhone Data Recovery which empowers you to recover text messages from iPhone, iPod and iPad without backup file. Note: All the tools work for iOS 8.1, iOS 8, iOS 7 and iOS 6 devices. Well, let's check the tutorial below to learn how to restore text messages from iPhone, iPad and iPod Touch within several steps. ​Part I: How to Recover SMS from iPhone, iPod and iPad from iTunes Backup? 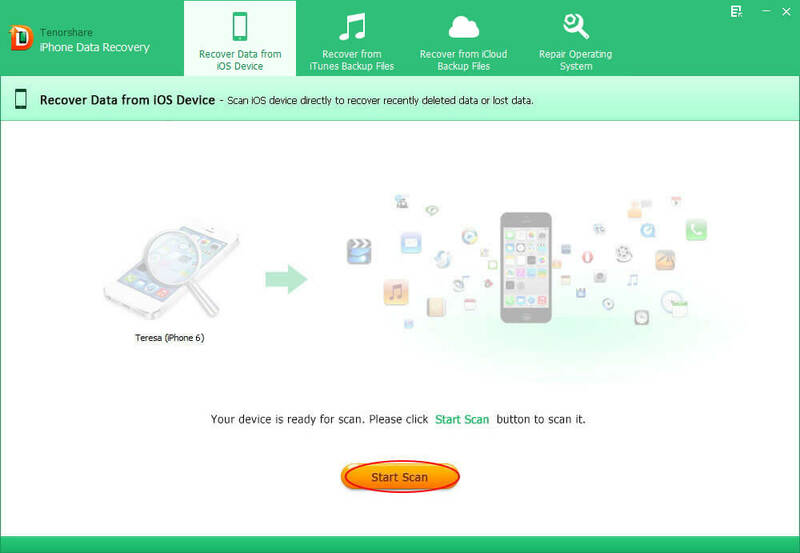 ​​Part II: How to Recover SMS from iPhone, iPod and iPad without Backup? Part I: How to Recover SMS from iPhone, iPod or iPad from iTunes Backup? Before recovery, please make sure that you have synced your device with iTunes before. Here we recover erased text message from iPhone, iPad and iPod with iTunes Data Recovery. If you are using a Mac, please get the Mac version of this program. When you start this program, select your iOS device backup file on the main interface and click "Start Scan". After scanning, all the recoverable files are listed by category like "Contacts", "Messages", "Call History" and etc. Select "Messages" which includes text messages, iMessage. How to veiw deleted messenger messages from iPad or iPhone? Here you can free preview details of them so as to check if they are your lost text messages. Click "Recover". When a window pops up, you need to navigate a folder to save the recovered text messages. And now iPhone, iPod, iPad text message undelete is really done. Part II: How to Recover SMS from iPhone, iPod and iPad without Backup? 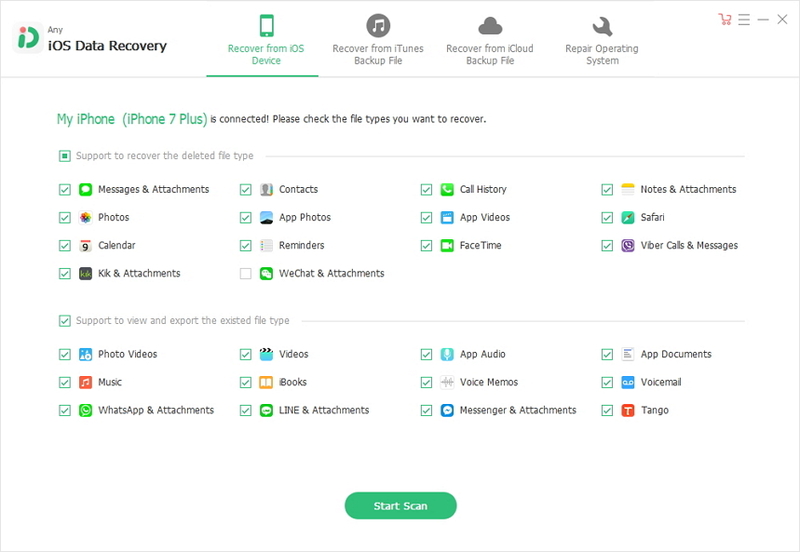 If you don't have backup file in hand, you can turn to iPhone Data Recovery to recover deleted, lost or missing text messages from iPhone, iPod and iPad without backup. This software can also recover iMessage history on your iPhone. Connect your device to your computer and ensure it it powered on. Click "Start Scan" to start to scan your device for lost text messages. It will take several minutes for scanning. Now you can preview all the lost text messages: Choose "Messages" on the left and select the messages you would like to recover on the right. And then click "Recover". Here you need to select a location on your computer to save the recovered messages. Anyway, it's better late than never. In case of text messages loss again, you can backup your SMS to computer with iPhone Data Recovery. Just connect your device to computer (for both Mac and Windows), and follow the above steps, select the contencts you want to backup, click "Recover" and save them to any place on your computer. By the way, if you have ever backed up your device with iCloud before, iPhone Data Recovery also provides a way to restore SMS from iPhone/iPad/iPod. See how to do it in this guide. Can you recover deleted imessages on iPad or iPhone? Surely you can. Try the methods introduced above.